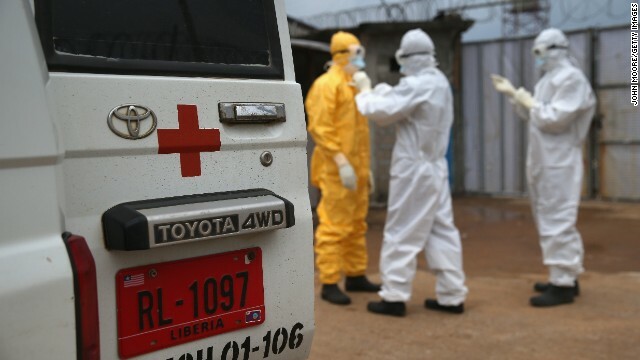 October 2014 – AFRICA – The deadly Ebola virus could be mutating to become even more contagious, a leading U.S scientist has warned. The disease has killed nearly 4,000 people, infecting in excess of 8,000 – the majority in the West African nations of Guinea, Sierra Leone and Liberia. Communities lie in ruins, thousands of children have been orphaned, millions face starvation but the virus continues its unprecedented pace, invading and destroying vast swathes of these countries. Meanwhile three nurses, two in the U.S. and one in Spain have caught the infection while treating Ebola patients, despite wearing protective suits. Now U.S. scientist Peter Jahrling of the National Institute of Allergy and Infectious Disease believes the current Ebola outbreak may be caused by an infection that spreads more easily than it did before. Dr Jahrling’s warning comes amid calls for the international community to step up their efforts to tackle the Ebola epidemic. Yesterday the World Health Organization admitted it blundered in its efforts to halt the outbreak of the virus in Africa, blaming incompetent staff and a lack of information for the failure. Now British Prime Minister David Cameron has urged the EU to stump up £800millon (1billion euros) to pay for 2,000 health workers to fly out to the affected West African countries, to help stem the spread of the disease. He has insisted that the UK is ‘leading the way’ in providing assistance to West Africa as he backed a call by United Nations secretary-general Ban Ki-moon for other countries to deliver more in the way of funding and resources.